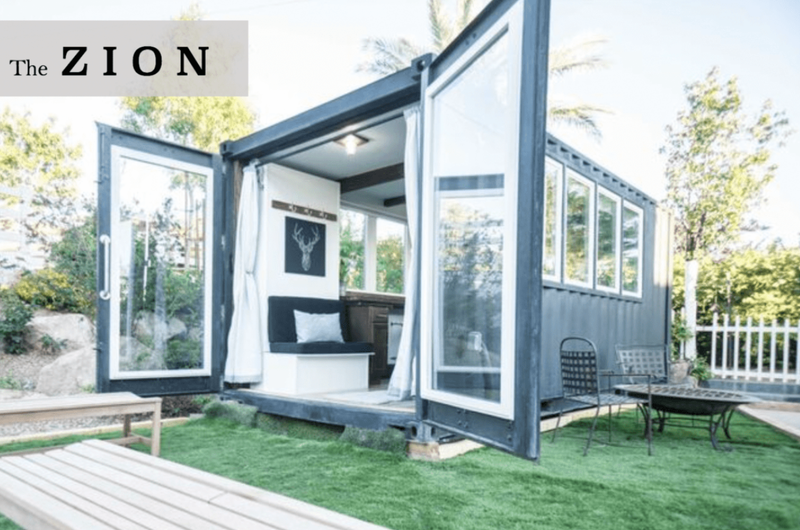 “The Zion” tiny house designed by Alternative Tiny Houses, is a 20’ container revamped to create a luxurious and modern tiny home. At 143 square feet, this space makes the perfect guest house or tiny house on a trailer. 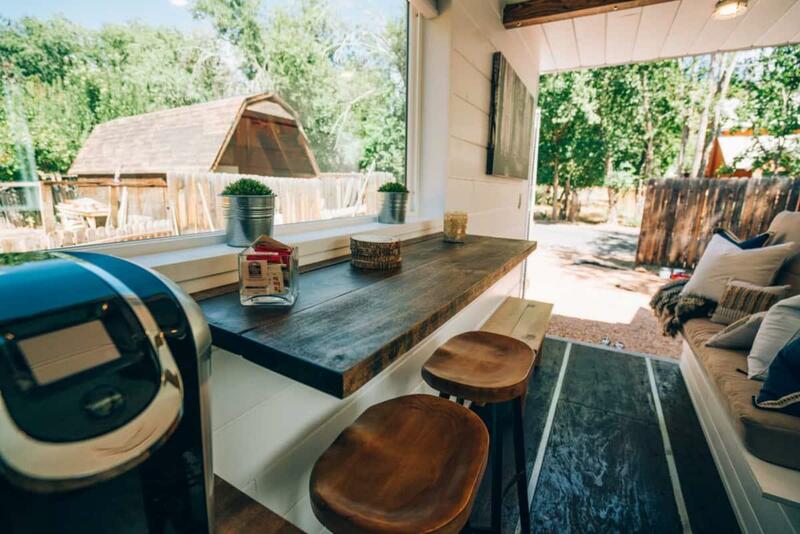 Our favorite feature of this tiny home are the standard, container doors that open up extra wide to bring the outdoors in. The large windows that line the entire container are also a great addition for letting in natural light. A cozy living room space with hidden bedroom capabilities. In this case, the living room is the first space you enter when you step inside. The couch and bench create a nice place to hang out with friends while catching a breeze! When your visitors leave, you can even turn the couch and bench into a comfy bed! The separate bathroom space even has a vanity with a mirror! The bathroom is at the far end of the container in a closed-off space. 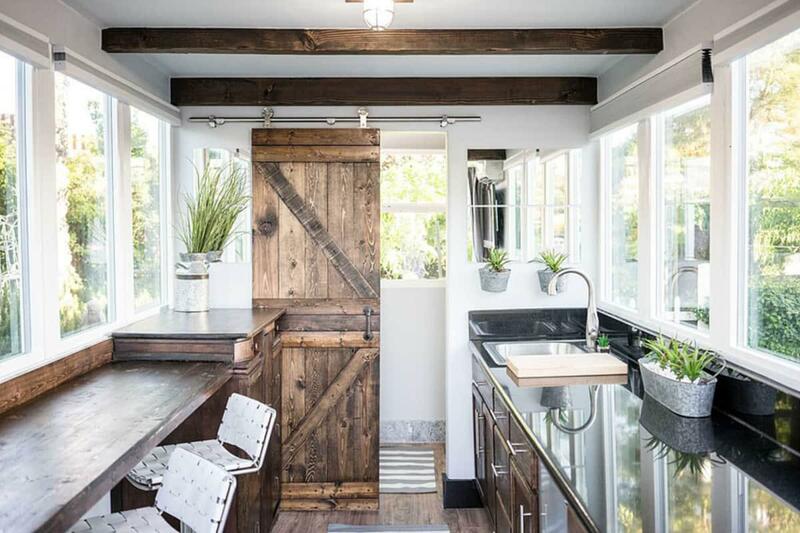 The sliding barn door makes an excellent feature piece in the tiny house. 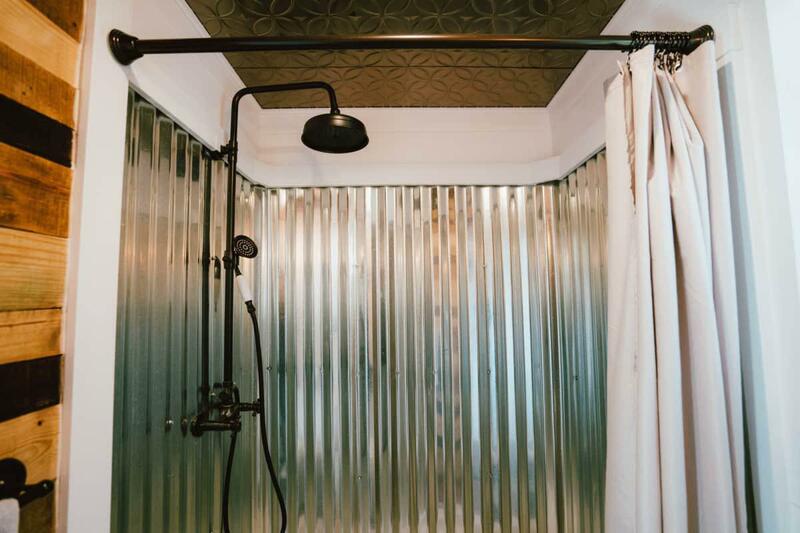 The beautifully rustic, corrugated iron shower. 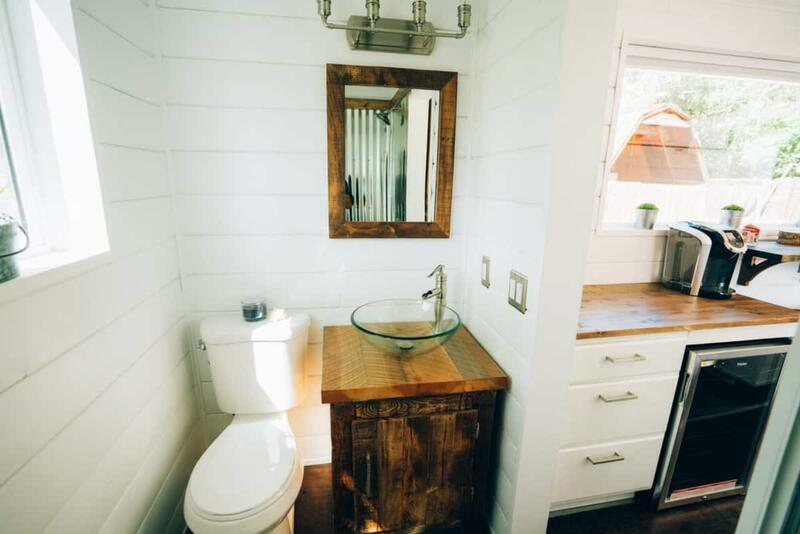 The bathroom has a toilet, a sink with mirror–even a corrugated iron shower! The spacious kitchen area with the barn door at the far end. The kitchen area is spacious with a mixture of granite counter tops and rustic wood. There’s room for every major kitchen appliance you would need, as well as plenty of places to store food and other items! We love the breakfast bar that doubles as a working space. 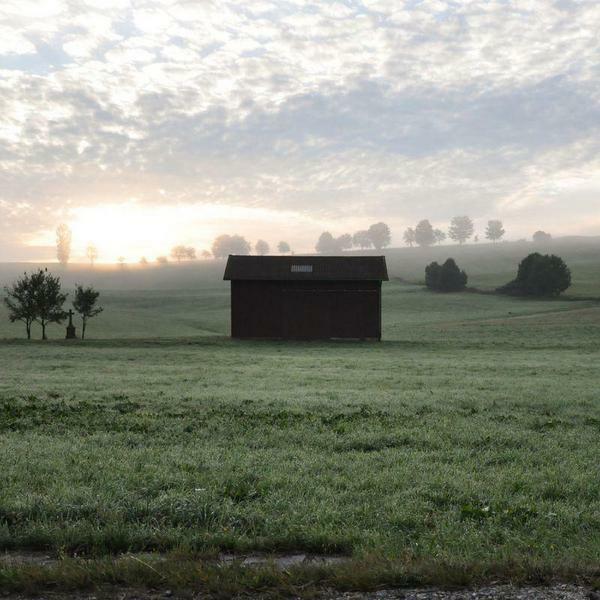 Work or enjoy your coffee with a view. 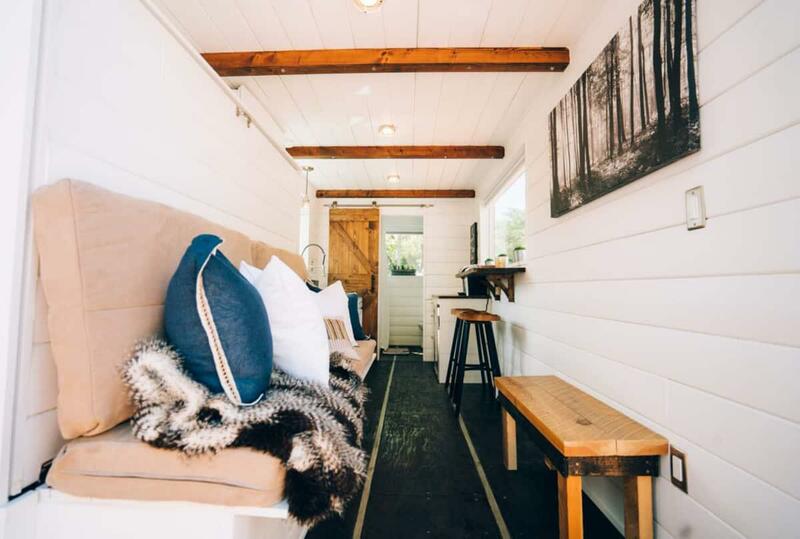 This modern, yet understated container tiny home will only set you back $38500. Not bad at all for all of the features included! 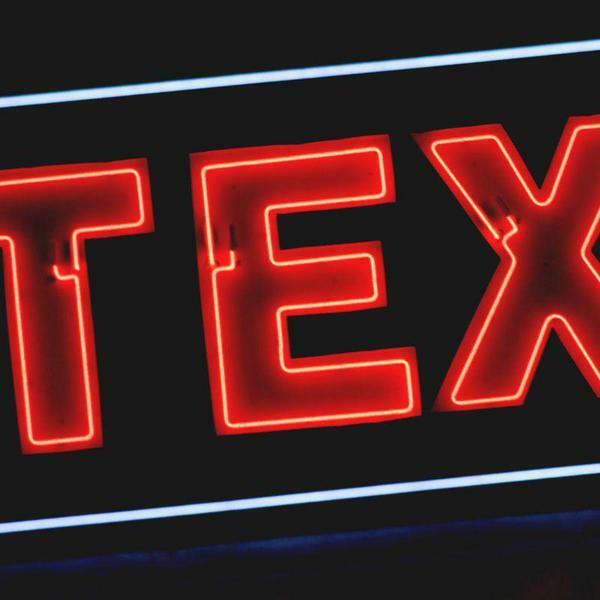 Prices may vary over time; get in touch with the builders here for the most up to date information.